My restaurant, rated 4.8 stars. Restaurant Tycoon is a free game on Roblox that lets you create your own restaurant. No two restaurants are alike. You can choose different origins of food to cook. I started out with Japanese but I later expanded to other cuisines. It doesn't matter a ton what countries you pick unless you are going for a theme. I believe the main point of the game is to get a five-star rating. You can check the rating on the board outside your restaurant. As you purchase furniture you start to run out of room, so there are two expansions purchase. One is five hundred dollars, another is three thousand. Ekea, Every kitchen, Every Accessory. 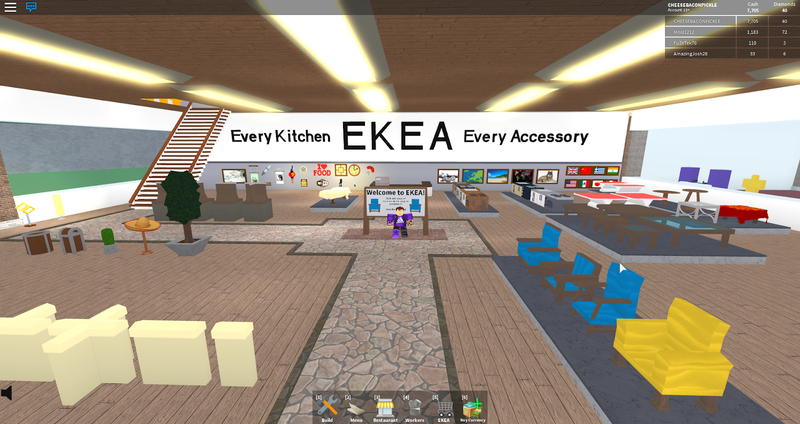 To buy new furniture you need to go to Ekea, the generic furniture store. Everything you could possibly need is there. Chairs, tables, counters, giant dragon statues, you name it. Keep in mind that what you purchase affects your design rating. the more expensive and luxe, the higher your design rating. 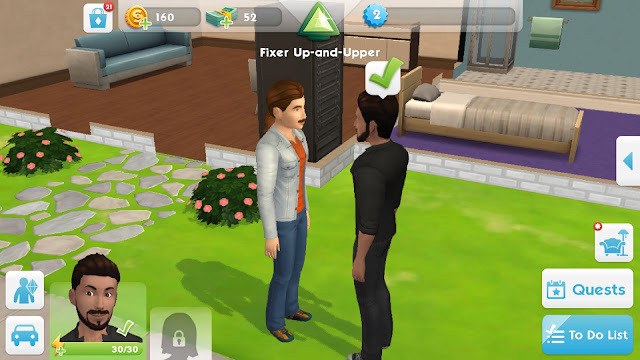 Eventually, you need to alter your restaurant to get a higher rating, such as with different chairs, newer tables, more dishes, and more waiters. It all matters in the end. I highly recommend this game, so happy cooking!